This is my experience. And I wanted to share it with you, in case you'd wanna earn extra, too. I learned about this from a classmate at grad school and he sent me an invite. This isn't an active income though that you can rely to for your daily necessities. No. This is just something extra. Maybe get 500php in a month, at least, if you're really into it. Something like that. In my case, I got my first 500php after about 6 months. I know, too small for such a long span of time. Still, it was money that went into my Paypal just by clicking buttons. Good money. First, PROOF, so you'll know I'm legit. Go to https://ph.m.aipsurveys.com and register. Alternatively, I can refer you so we can both get 250 e-points. Fair enough, right? Post the following on the comments section so I can add you (but I only have 5 referral slots every 6 months so make sure you will really answer surveys, otherwise I will delete you on my list). Next, HOW TO ANSWER SURVEYS AND EARN POINTS. 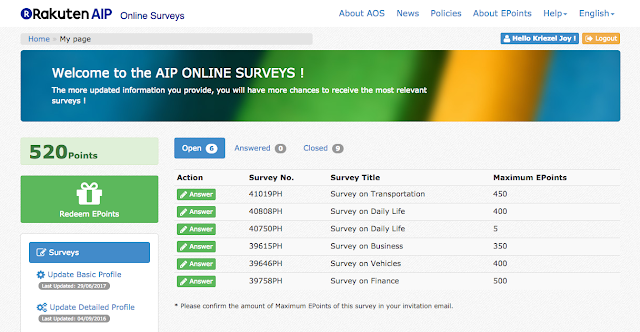 You will receive email notifications about open surveys. 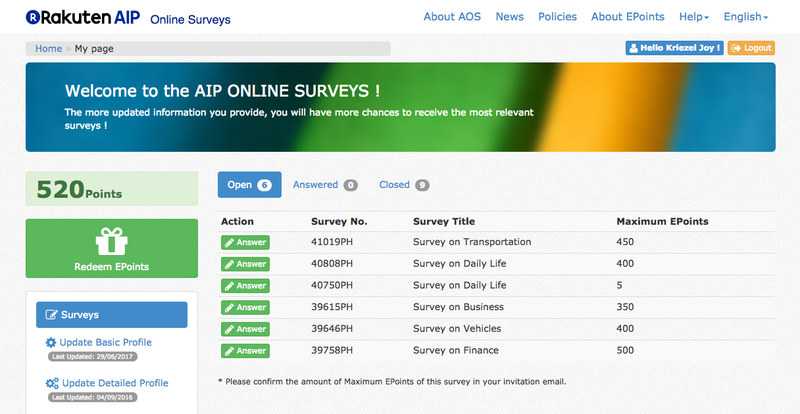 Each survey is set with minimum and maximum epoints you can earn. If you qualified in the survey, you may get the max points. Otherwise, you'll be given the consolation (minimum) which is usually 5 epoints. Click on the survey link on the email that you get then click the green Answer button once you've logged in the AIP website. 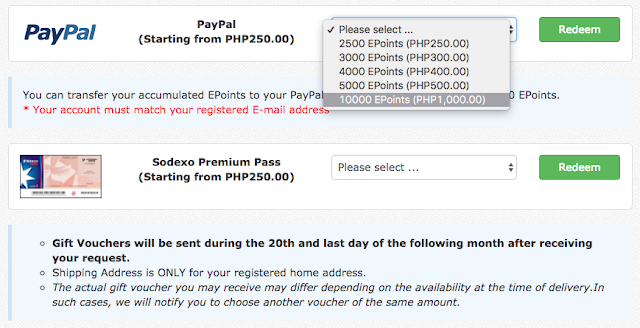 You can convert your epoints into Paypal credits that you can withdraw or as Sodexo passes that you can use at shopping malls. The downside of choosing Paypal is you have to pay 50php for the withdrawal and then your local bank may charge 100php for the deposit fee. So that's 150php down the drain already. I suggest you get the Sodexo pass. OK, I guess that's all. If you have questions, feel free to let me know in the comments box. Good luck!